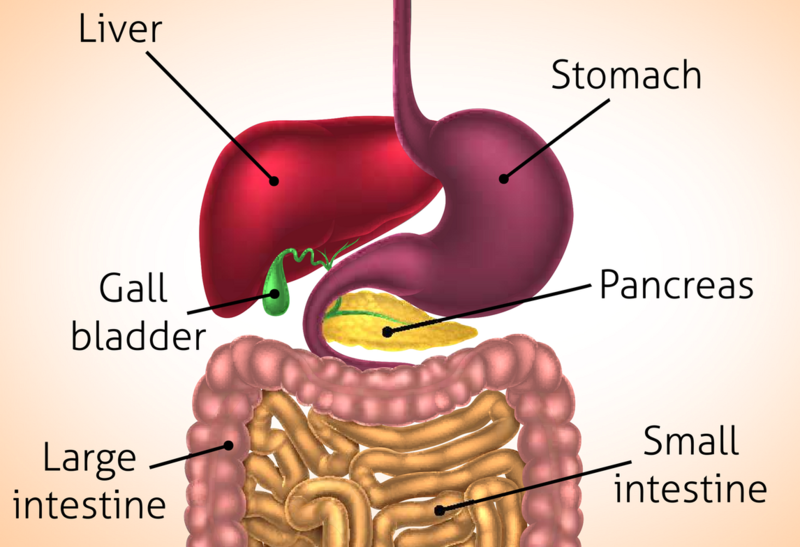 What do your liver, gallbladder and pancreas all have in common? They help digest fat! Fats are one of the major food groups needed for proper nutrition, along with protein and carbohydrates. When you eat food, your digestive system must break down the nutrients in the food by converting them to smaller molecules that your cells, organs and tissues use for hundreds of metabolic functions. Enzymes made in different parts of your digestive tract act on these smaller molecules to finalise this process. Salivary amylase is released in the mouth through chewing. This is the first enzyme your food will come into contact with, and it begins the digestion process. Lingual lipase is also produced in the mouth, which begins to emulsify any fat. Once the food reaches the stomach, pepsin, gastric amylase and lipase are released to help degrade food into ‘chyme’. This in turn signals the pancreas to release hormones, bile, bicarbonate (which changes the acidity of the chyme from acid to alkaline) and various enzymes, including lipase – the main fat enzyme that we will talk about in this article. If you have sufficient enzyme activity, this cascade works well. However, there can be problems in any one of these steps. 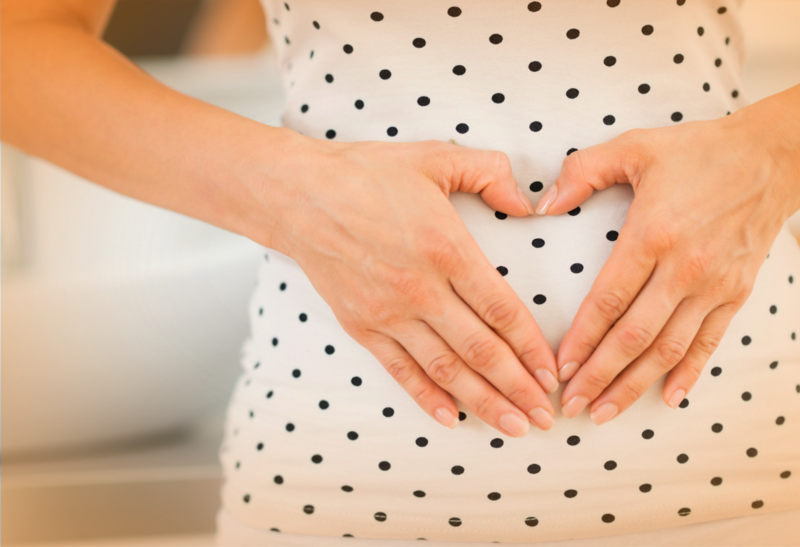 Have you ever experienced bloating or cramping after meals? Or have loose, greasy foul-smelling stool, very dry skin, gallbladder pain, hormone imbalances or a deficiency in the fat-soluble vitamins A, D, E or K? Have you had your gallbladder removed, or do you just feel a little unsettled after eating fatty foods? Whatever the reason, you may be experiencing a problem in digesting and absorbing fat. Lipase is the major enzyme that breaks down dietary fats into smaller molecules called fatty acids and glycerol. Since all cell membranes and other structures are made of lipids (fats), it is important to have adequate amounts of healthy fats in the diet. Fat also helps produce important hormones. But just as important as eating enough fats, and the right kind of fats, is ensuring that you are properly digesting the fats you eat. When fat is not broken down correctly, the fat may coat food particles and interfere with the breakdown of proteins and carbohydrates. Once the food moves to the small intestines, bile is released by the gallbladder to help emulsify the remaining fat. This signals the pancreas to release pancreatic lipase, which finishes the job. Bile contains water, electrolytes and other organic molecules, including the bile acids, cholesterol, and fats. In simplified terms, the liver uses cholesterol to form bile salts. Bile salts then cause the big molecules of fat to break down into much smaller molecules. This allows the lipase enzyme to access and break down the smaller fat molecules into fatty acids. It is common in people who do not eat enough fat to have bile that does not get activated often. This can cause the liver to not make enough bile, because eating fat stimulates the production of bile. This can also cause the bile in the gallbladder to become stagnant, because it is not being emptied enough. This is why people may develop gallstones or pain in the gall bladder. Another thing that can cause gallstones is an over-consumption of hydrogenated fats and processed vegetable oils. If this happens, the gallbladder may have to be completely removed. Then the whole bile process becomes less efficient. The liver will still produce bile, but it will continuously leak bile into the small intestine, and there will not be enough stored bile to digest fats effectively. The fat particles remain large and cannot combine readily with the pancreatic lipase. This is why fat malabsorption is common in people without a gall bladder. Fats must be digested properly before absorption, because fat is not water-soluble and the end products of fat digestion are carried in water substances like blood and lymph. Without lipase, the fats cannot be split into fatty acids. Lipase-deficient people may have issues with high cholesterol and high triglycerides. Some triglycerides are needed in the body for energy, but high levels are often thought to be a risk for heart disease. Lipase requires chloride as a coenzyme. Lipase-deficient people have a tendency towards hypochloridia or low stomach acid. Ensure you are producing enough hydrochloric acid (HCL), which is the trigger for the liver to produce bile. Natural ways to stimulate HCL production include taking a tablespoon of apple cider vinegar or lemon juice in the morning or before a meal. You can also take supplemental betaine-HCL. Ensure you have healthy bile flow. If you do not, or you have had your gall bladder removed, you can try supplementing with ox bile to help this step along. Ensure that your body is making enough lipase. This is the final step in fat digestion. Your healthcare practitioner can test lipase (LPS) if you are unsure. LPS is used to indicate problems with the pancreas. You can also try supplementing with a digestive enzyme that contains lipase, such as Digest Premium. So overall, it is vital that we sufficiently intake fat and optimally digest it. In a world where many people are either on no fat/low fat diets, or otherwise feel unwell due to fat consumption, it is easy to be deficient and not digest this vital food group. By optimising your fat intake and digestion, you can definitely rest assured that you are on a pathway to greater health and greater wellbeing.